MOOSIC, PA. (October 1, 2018) - During the 2019 season, the Scranton/Wilkes-Barre RailRiders will celebrate 30 years of baseball in Northeast Pennsylvania. Over the next three weeks, nominations will be accepted to help determine the All-Time Scranton/Wilkes-Barre Team. Nine bobbleheads will be created and given away in 2019, honoring the best of the best that honed their skills here. ⸰ Between now and October 7, fans can nominate their favorite pitcher and catcher. ⸰ From October 8 through October 14, nominations for the top infielders will be accepted. ⸰ Nominations for the top outfielders will be accepted between October 15 and 21. 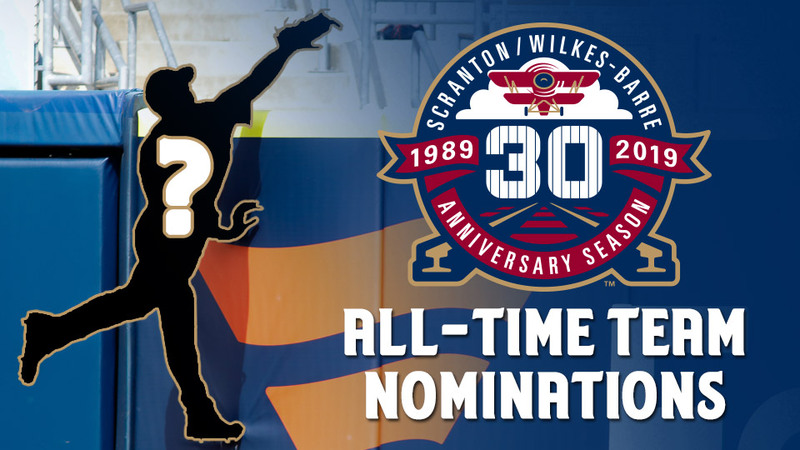 Nominations are being accepted via email at info@swbrailriders.com. In addition, fans can make a nomination via social media by simply replying to that week's All-Time Scranton/Wilkes-Barre Team posting. The nominations will form the basis of fan voting later this month and into November as the club builds the roster to honor the top players over the last 30 seasons. "We know our fans have their favorites over the years," said Josh Olerud, the RailRiders Team President and General Manager. "As we celebrate 30 years of baseball, we want to honor those greats that kept people coming back. Red Barons, SWB Yankees, RailRiders... whatever era or team. We need this input to make sure the fan's voices are heard as we pay tribute to those great players that came up through Northeast Pennsylvania." 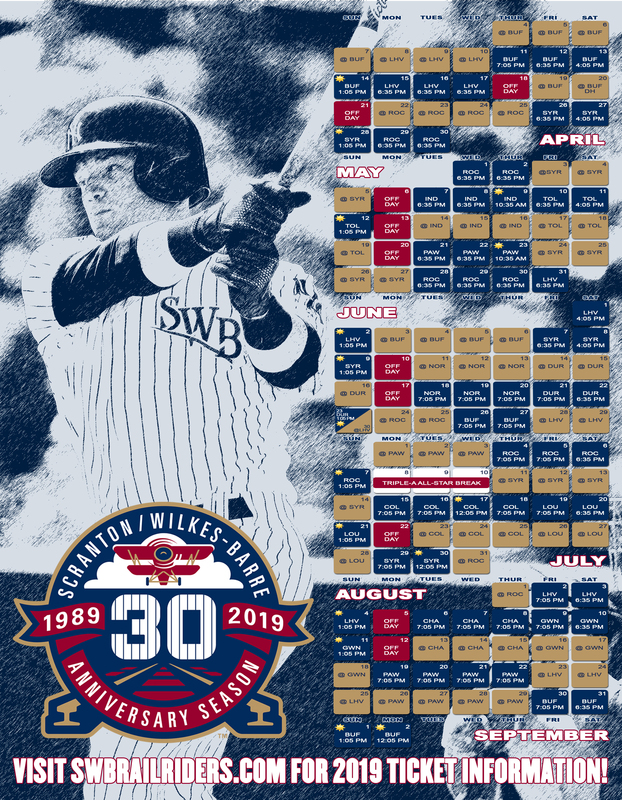 Season ticket plans for 2019 are now available by calling (570) 969-BALL.